Okay, ladies is officially that time of the year when you can add glitter to everything without being judged. We know that there are gals that would have glitter from breakfast to dinner. Anyway, adding glitter to your makeup look might be a bit challenging. First, the fact that you don’t have many red-carpet-like events on your schedule might get in the way. Second, glitter makeup looks are outstandingly gorgeous, but glitter can be messy at times. We all have to admit that glitter gets all over the place when we do our makeup. Plus you have to wake up at least an hour earlier in the morning to do a full face glam. And you can do this only if your workplace allows you to wear much makeup. So, it seems that sometimes you need to wait for a special occasion to wear glitter makeup. Having all this in mind, we feel free to say that glitter nails are the best deal for all the glitter-obsessed gals out there. First of all, because you don’t have to deal with the mess if you get your nails done at the salon. Even if you do them by yourself, you’ll have to deal with the mess only once. And for a while, you will have cute nail design. One of the chicest ways to flaunt a glitter mani is the nails-dip-in-glitter technique. This technique means that you have to add glitter only on the top part of your nails. It is a great way to tell the world that you get your fingers involved in everything glitter! If you want a more toned down glitter nail design opt for semi-clear, semi-glitter nail design. For a bolder effect chose contrasting colors. And finally, for the most dramatic results glitterize your nails from the first finger to the last. Choose your favorite color (not trying to influence your decision but royal blue, turquoise and millennial pink look insanely gorgeous in glitter version) and get glitter mani. This nail design is pretty simple. Try it at home if you don’t want to pay for a pro mani. For extra glam mix glitter, rhinestones and other decorative elements for nails into one nail design. 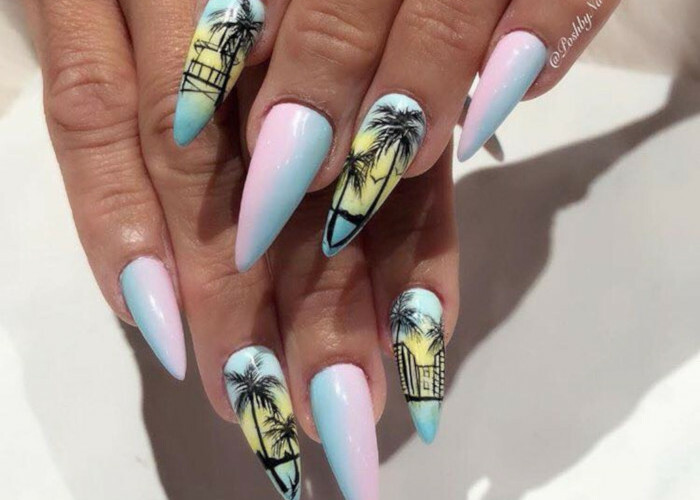 These over-the-top nail designs are only for the ones who don’t mind to have all the attention on their nails. 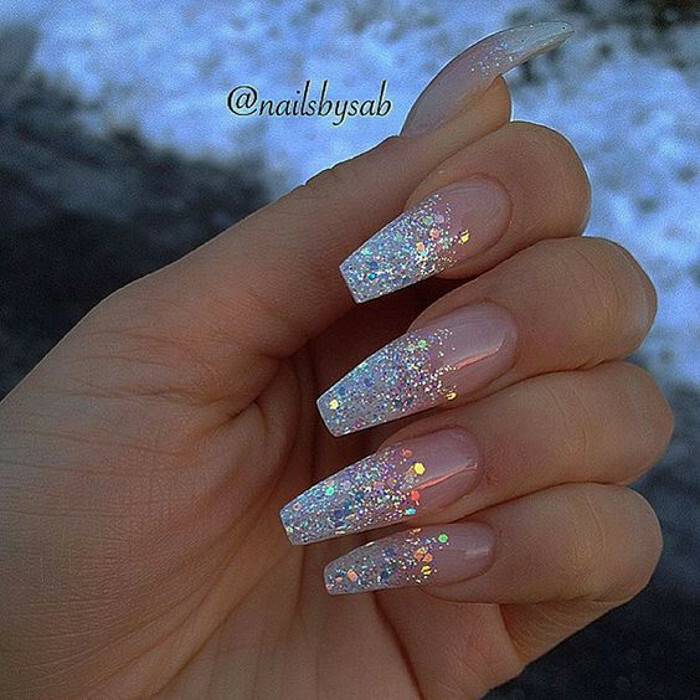 Take a look at these pretty glitter nail designs and pin the ones you want to copy.